Sweden’s re-armament in the face of increasing concern over Russia’s assertive steps against neighbouring countries has extended to re-establishing mobile coastal defence missile systems disbanded after the end of the Cold War. Local press reports suggest that some land-based launch equipment for the potent RBS-15 Mk.3 missile has had to be recovered from museums to get the systems back up-and-running. 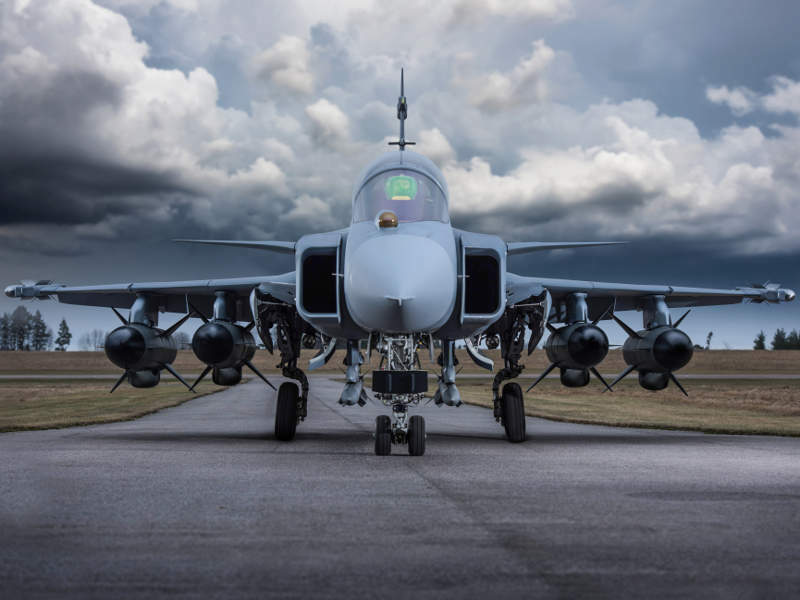 A new, next-generation version of the SAAB Dynamics RBS 15 ASM was awarded by Swedish Defence Materiel Administration (FMV) in March 2017 to equip the Royal Swedish Navy’s VISBY class corvettes and Air Force’s JAS GRIPEN E multirole fighters. 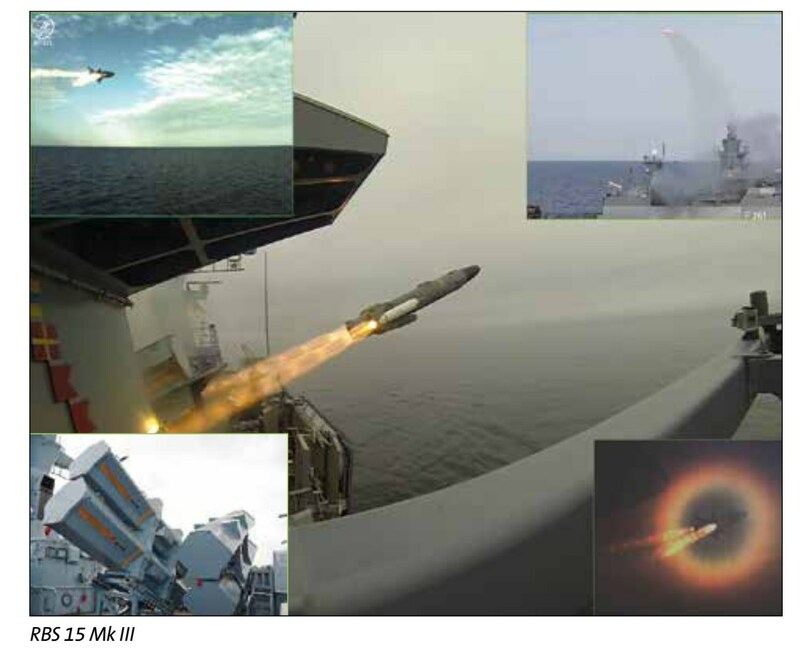 Externally similar to current generation RBS 15, the new missile is reported to be a re-architectured development of the existing RBS 15 Mk.3 anti-ship missile, introducing technology enhancements in the airframe, navigation suite, on-board processing in addition to the RF seeker to improve the all-weather capabilities and develop a significant range enhancement. The latter is reported to have been achieved thanks to a lower weight obtained mainly by composite material use in the airframe design. 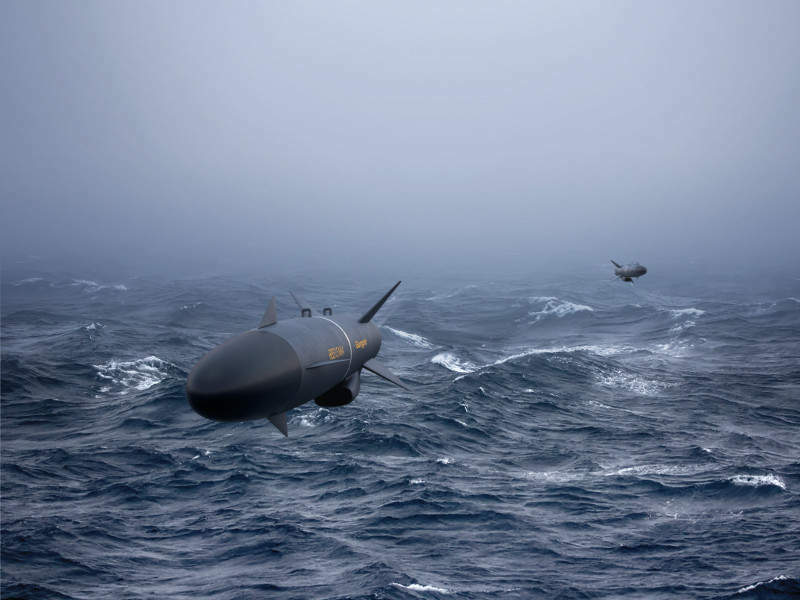 The new RBS 15 version for both ship- and airborne applications will be operational from the mid-2020s. 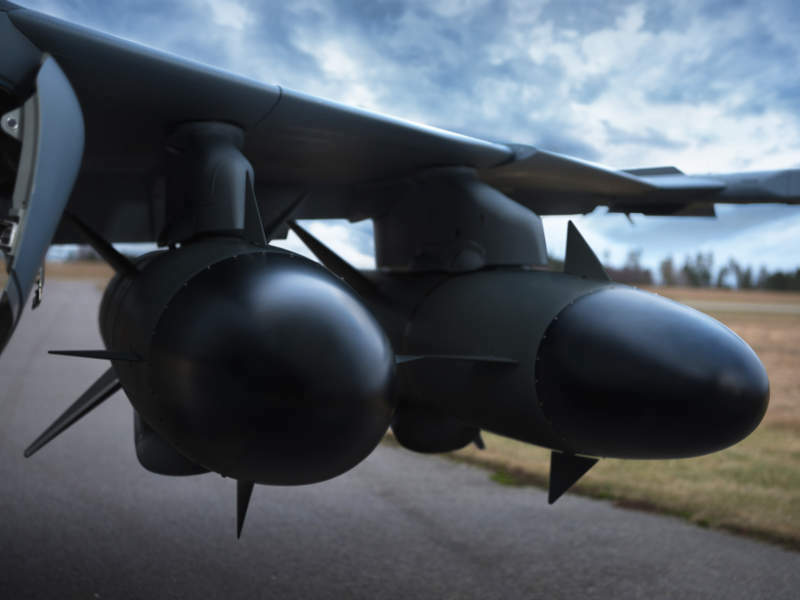 Jointly produced and marketed by Saab, Sweden, and Diehl BGT Defence, Germany, the current RBS 15 Mk.3 is in production, under delivery or in service with the Swedish, German, Polish and reportedly Algerian navies. With a range of 250+ km, all-weather and fire-and-forget capabilities, the 4.35-metre-long and 660 kg (flight weight) Mk.3 version is equipped with a high-resolution radar seeker, intelligent processing and a state-of-the-art navigation system with GPS. This entry was posted in Air Warfare, Aircraft, Warship, Weapons by MSW. Bookmark the permalink.